Our collection travelled to Guanajuato for a photoshoot with MakeFashion. 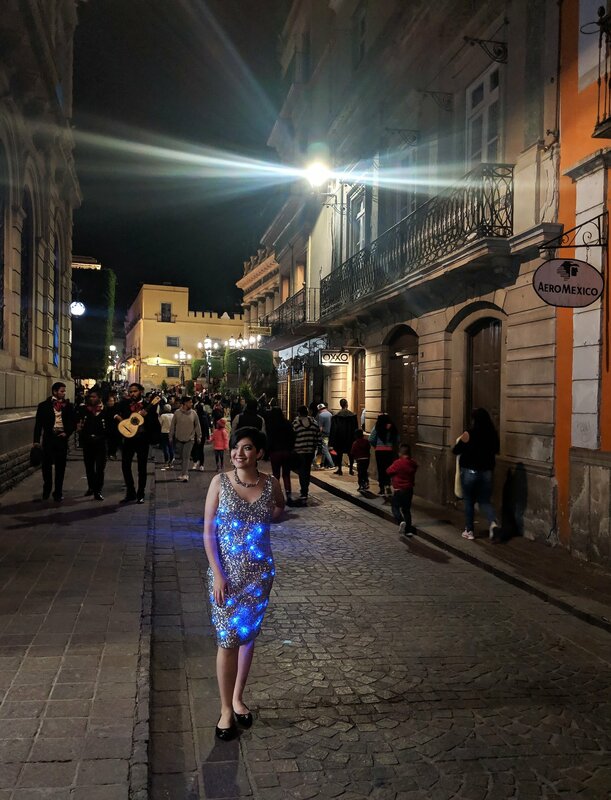 Our LED light up sequin dress is available for purchase and rental. 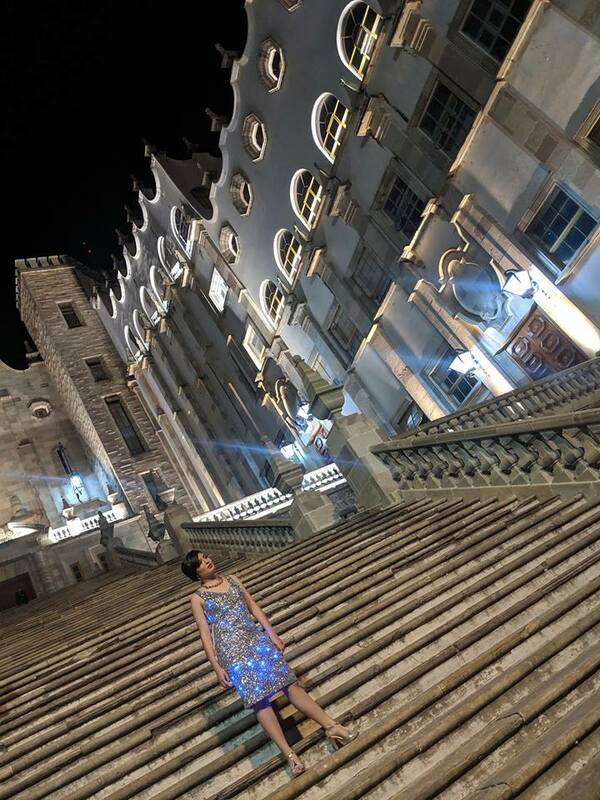 Our MakeFashion Co-Founder Maria Elena Hoover recently visited in Guanajuato Mexico, a beautiful colonial style world heritage city located in the center of Mexico. 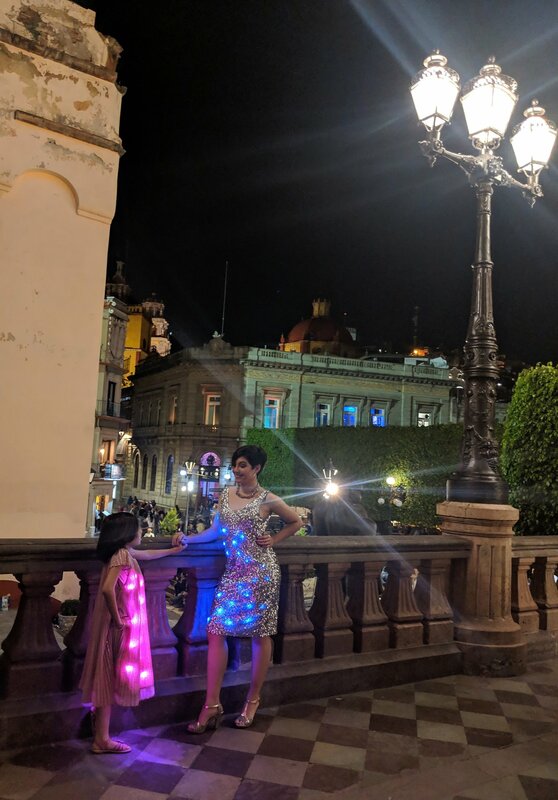 While there, Lumen Couture participated in a photoshoot outside El Teatro Juárez, and in the streets. 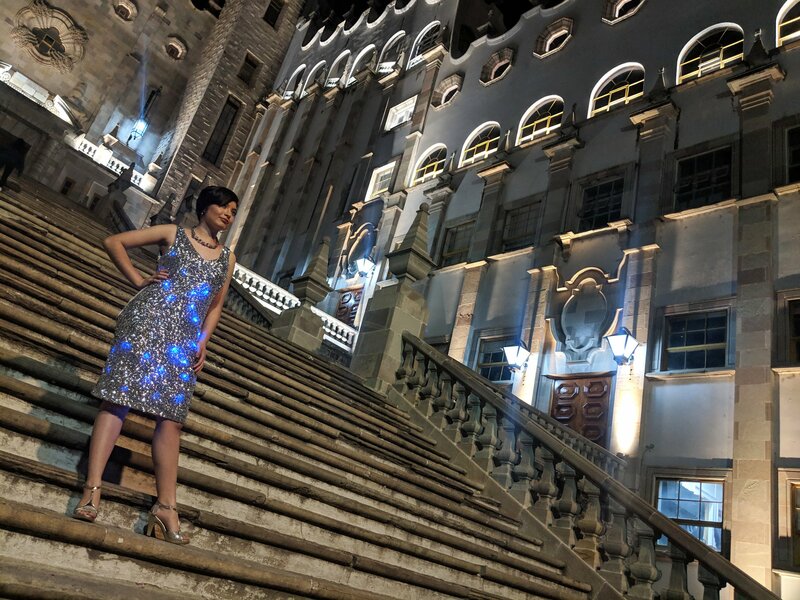 Our sequin dress is designed to look beautiful whether turned “on” or “off”. 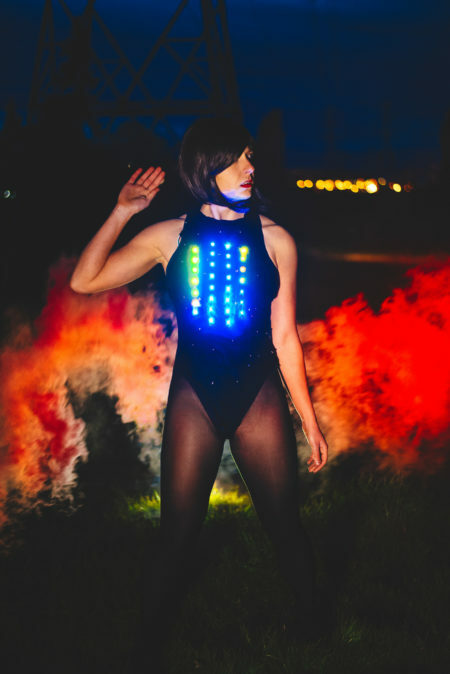 The dress is controlled by a small remote that cycles through a variety of LED patterns and colours. This was our first event in Mexico, and we hope to participate in more in future! 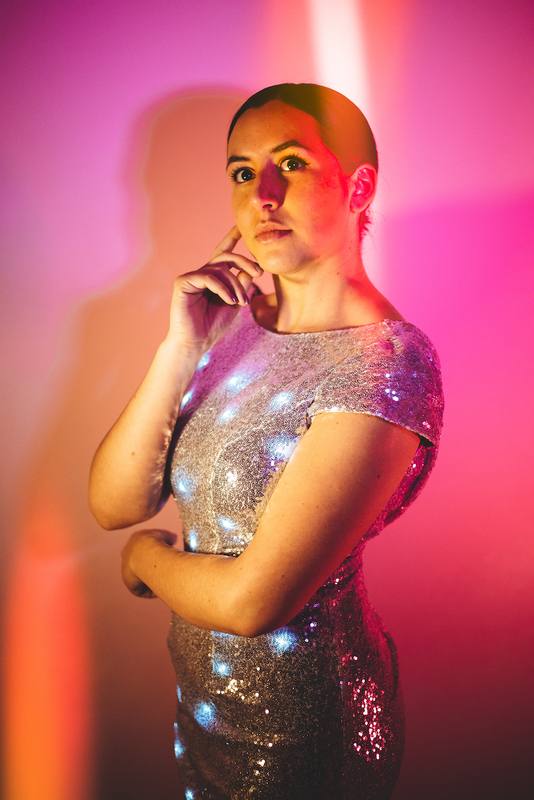 About the Author: Chelsea Klukas is the designer of the Lumen Couture projection hat, the her own wearable technology fashion line, and the Co-Founder of MakeFashion. In addition to her wearable technology work, she is a Product Design manager who has managed design teams for social shopping startup BeauCoo and the Amazon Echo Look ai-enabled fashion assistant. 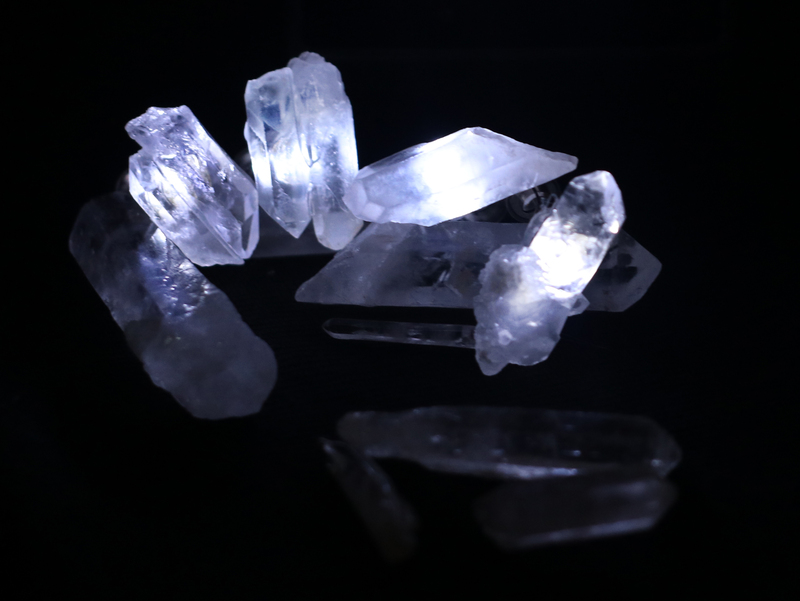 Lumen Couture is fashion that illuminates for unexpected elegance and drama. The designs are informed by the international fashiontech shows hosted by MakeFashion, an organization that introduces youth to STEM through hands-on fashion technology workshops.